As delegates from around the world are gathered in Durban, South Africa, for a new round of climate change negotiations (COP17), a growing community of researchers and practitioners working at the intersection of Information and Communication Technologies (ICTs), climate change and development, is strengthening its efforts to raise awareness on the potential of these tools and foster the engagement of decision makers in this field. But positioning the role of ICTs within international climate change negotiations is a challenging task. Amidst an overwhelming range of climate change topics, pressing financial issues and a mounting list of urgent, immediate and long-term needs, the role of ICTs towards mitigation, adaptation and monitoring is often overlooked. 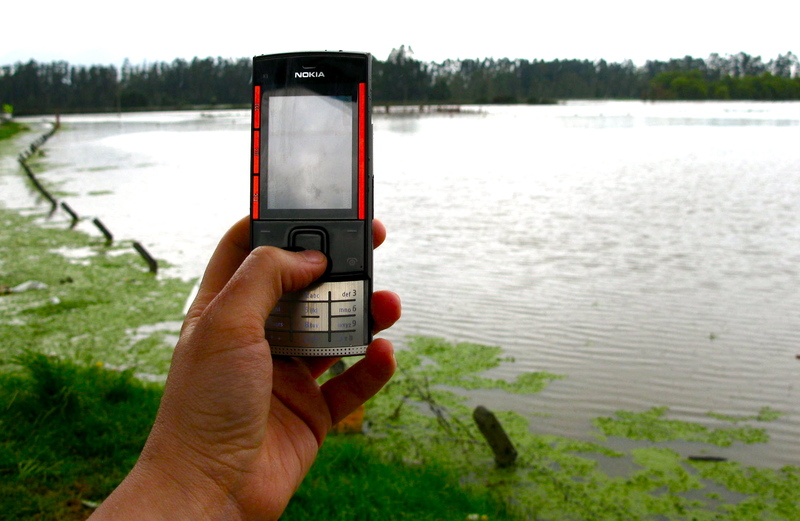 Despite the fact that information and knowledge are recognized as key components of mitigation and adaptation actions, discussions are still nascent on the role of widespread ICT tools (such as mobile phones, community radios, the Internet and social media, among others) within climate change strategies. As previous international negotiations have demonstrated, environmental decision-makers remain unaware of the potential of these technologies, including the informational, productive and transformative role that they may play towards the achievement of mitigation, adaptation and monitoring goals, particularly within developing countries. As COP17 unfolds, a newly formed Coalition on ICTs and Climate Change (1) is working actively to change this situation by raising awareness, showcasing innovative initiatives, mobilizing political will, and encouraging governments to include ICTs within their climate change policies. Thus, unlike previous events of this nature, COP17 has given more visibility to the role and potential of ICTs, and to the need for innovative strategies in the climate change field. Two side meetings focused on ICTs, mitigation and adaptation, an ‘ICT Day’, a Digital Media Lounge showcasing experts and practitioners via tele-presence, and the launch of a ‘PoliWiki’, are among the events that members of the coalition on ICTs and climate change are implementing during COP17. While the official negotiations take place, ICT enthusiasts are blogging, tweeting, and engaging in face-to-face discussions on the role that these tools could play in response to the multiple vulnerabilities that climate change is contributing to exacerbate across the globe, particularly within developing environments (in the picture, participants interact remotely with experts at the Digital Media Lounge). (In the picture, young delegates share their opinions at the Bloggers’ Loft during COP17). These constitute important efforts to change the perception of climate change actors and decision-makers about the role of ICTs towards climate change goals. One of the main challenges in this regard is to demonstrate that the potential of ICTs goes beyond the provision of relevant and timely climatic information (e.g. through Internet portals, platforms and databases, or early warning systems). ICTs can also play a role towards the implementation of national adaptation and mitigation strategies, towards the achievement of specific sectoral priorities, and towards the capacity of vulnerable communities to withstand, recover and potentially transform in the face of change and uncertainty (e-resilience). A recent Strategy Brief on ICTs and Adaptation provides useful examples of the contribution of ICTs at the national, sectoral and community level, arguing that their potential must be harnessed and designed with a holistic, integrated view of climate change responses and vulnerabilities. While the goal of positioning ICTs within climate change negotiations is a process that will require time and perseverance, the actions taken by the Coalition on ICTs and Climate Change at COP17 constitute positive steps towards a new international dialogue, renewed multi-stakeholder collaboration, and informed policy decisions that acknowledge the crucial role of these tools in the climate change field. (1) Organizations in the coalition include the International Telecommunications Union (ITU), the Global e-Sustainability Initiative (GeSI), the UNFCCC Secretariat, the UN Global Compact, TechAmerica, as well as high-level representatives from the governments of Ghana, South Africa and Egypt. The complexity of urban contexts poses new challenges and opportunities to processes of resilience building. While increasing attention is being paid to the threats posed by climate change and variability to rural environments, urban marginalization poses equally important challenges that need to be examined from a ‘resilience lens’, fostering innovative responses towards urban change and transformation. Large and growing cities in developing countries are facing increasing risks associated with water scarcity, flash floods, landslides and mudflows, which are intensified by climate change and variability. Within contexts such as urban slums, the impacts of climate stressors converge with increasing overcrowding, unregulated and unsafe housing, growing risks associated with solid and liquid waste, high levels of informality and lack of access to stable income sources, as well as social pressures due to limited access to services and deficient infrastructure, among others (Tanner et al. 2009, Romero-Lankao, 2011).These factors constrain their adaptive capacity, and heighten their exposure to climatic stresses. Thus, the rapid processes of urbanisation taking place in the global South pose the need to rethink the way in which climate change adaptation and resilience are built within urban low-income settings, and identify new mechanisms and tools through which change and transformation can be enabled. Tools such as Information and Communication Technologies (ICTs) have been diffusing rapidly among the urban poor, providing new livelihood opportunities and fostering entrepreneurship through PC/Internet related microenterprises, mobile phones and associated services and applications (UNCTAD, 2010). Studies suggest that ICTs have helped to improve the availability of information in the informal sector, to reduce transaction costs and improve job creation and access to markets, contributing to income generation (ibid). (In the picture, an informal vendor in Colombia diversifies her income by selling mobile minutes). However, much less is known in terms of the linkages between ICTs and climate change resilience within urban contexts. Could ICTs help to build Urban Resilience to the impacts of Climate Change and Variability? Relevant local data that is collected, mapped and accessed with the support of ICT tools can inform decision-making processes and strengthen local governance. The use of ICTs such as Geographic Information Systems (GIS) in local hazard mapping and analysis can help to identify and illustrate evacuation routes as well as to locate housing, business and structures that are at risk of threats such as rises in water levels (Peirce et al, 2008). The availability of this information, in formats that are easily understood by all levels of stakeholders, could also motivate community members and local governments to engage in joint climate change responses. ICT applications such as participatory videos, photo-diaries or the use of mobile phones for collective mapping/monitoring exercises, could be used to foster greater involvement of low-income urban dwellers in climate change and risk-reduction initiatives, involving them in decisions such as the best location for drinking water supplies in case of sudden salinization, or failures in drainage systems due to floods. ICTs can be used to foster participative processes and multi-stakeholder discussions about issues that affect urban populations such as transportation and land use, as well as in the participative planning of climate-change initiatives that seek to reduce adaptive deficits. Compelling mapping supported by ICTs can help to determine the different levels of vulnerability that exist within low-income urban settlements, allowing stakeholders to take appropriate measures towards risk reduction. 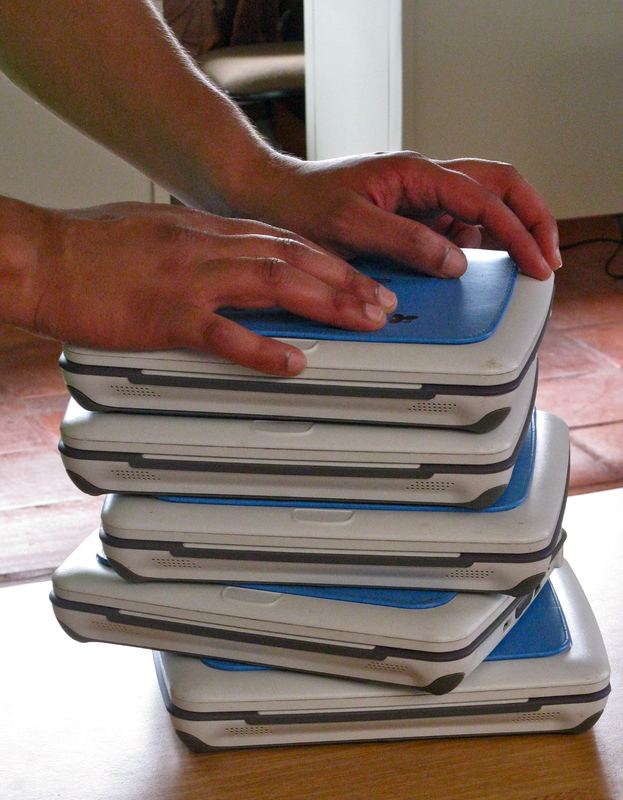 New and traditional ICTs (e.g. mobile phones, community radios) can also be used as effective information and early-warning channels among populations settled in dangerous terrains. Policy and research networks can be supported by social media tools to discuss and give visibility to climate-related agendas that respond to the needs and priorities of low-income urban populations. ICTs can also play a role in efforts to raise public awareness on health-related problems that are intensified by climate change manifestations and variability, such as malaria and dengue, helping to disseminate measures to prevent or control the spread of the virus. ICT tools can also support public awareness and education campaigns on safe-housing construction, water storage and robust drainage systems, empowering the community to mitigate the impacts of climatic occurrences. Online training programs and access to broader networks of practitioners and experts to share lessons and resources could help to strengthen the institutional capacity of those involved in processes of urban planning and design. ICT tools that allow spatial mapping can also strengthen the capacity of urban planners by providing more accurate representations of local realities, identify priorities, and design more inclusive development plans. Climate change models and projections supported by ICTs can help to identify the long-term implications of planning measures and land-use, contributing to the adoption of more sustainable strategies. ICTs can also be used to enable communication and exchange between local governments, communities, grass-roots organisations and researchers working in urban development programmes, strengthening transparency, accountability and public support. ICTs used in support of social networking can also improve the capacity of low-income urban communities to respond effectively in the case of climate-induced emergencies, as well as to access information about markets, employment opportunities and livelihood alternatives. Amidst increasing climatic uncertainty, the challenges faced by low-income urban populations should be met through dynamic, flexible and innovative approaches that foster their capacity to engage, adapt and transform. The use of ICT tools can contribute to such approaches by enabling new forms of accessing, mapping and sharing relevant information, strengthening individual and institutional capacities, fostering livelihood options and participatory decision-making, and helping to operationalise new partnerships and collaboration among the multiple stakeholders that play a role in adaptation and resilience building. Peirce, N., Johnson, C., Peters, F. (2011) “Century of the City: No time to Lose”, The Rockefeller Foundation, New York. Romero-Lankao, P. (2011) “Urban Responses to Climate Change in Latin America: Reasons, Challenges and Opportunities”, Architectural Design, May/June 2011, No 211, pp. 76-79. Tanner, T., Mitchell, T., Polack, E., Guenther, B. (2009) “Urban Governance for Adaptation: Assessing Climate Change Resilience in Ten Asian Cities”, IDS Working Paper 315. UK.